All over the world, exit polls are considered to be the gold standard in detecting the presence of election rigging. When the votecounts and the exit poll results are very different, it’s an indication that the vote counts may be wrong. It’s not proof of election fraud, but it does mean the election should be investigated. A disparity between votecounts and exit poll results is exactly what we’re seeing in the November 8 election. You can see the comparison at the links below. Presidential Race Senate Races In the images at the links, the right hand column lists the percentage of shift from Clinton to Trump in the Presidential race, and from Democrat to Republican in Senate races. We call a shift towards Republicans a “red shift,” and a shift toward Democratic candidates a “blue shift.” We are seeing no blue shifts in this election. And even where possible, with optical scanners, it is just not done. Is it a patriotic service to our country — and the world — to passively and quietly accept the results from this election without review or inquiry? Let’s take responsibility and investigate where the evidence gathered places the validity of these results in doubt. In a nation that counts its votes in secret, polls take on a special significance. 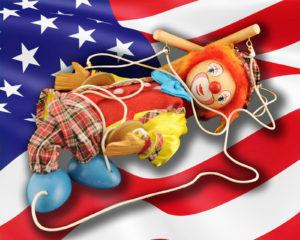 The United States is such a nation and our polls, both pre-election and exit, serve as parallel vote counts and establish the baseline against which the electoral results themselves are seen to be somewhere on the spectrum from “just what we expected” to “shocking.” The polls, in other words, serve as a kind of “smell test”: Miscounted elections, the vote counts of which veer widely or consistently away from the polling numbers, emit a certain odor, whether or not their results are actually challenged or investigated. As a veteran analyst of election forensics, I have crunched polling and voting data from elections dating to 2002, when the Help America Vote Act hastened the computerization of voting in the United States. During this period, a pervasive pattern characterized that data: a “red shift” in which official vote counts in competitive electoral contests were consistently and significantly to the right of polling results, including both pre-election and exit polls. Unfortunately the standard response to our forensic red-flagging of such patterns was “the polls are ‘off’ again; they must have oversampled Democrats.” It did not seem to occur to anyone to actually examine the polling samples or make any impression when we did analyze the samples and found that they had not in fact oversampled Democrats. But any explanation that might point to corruption of the computerized vote counting mechanism was strictly verboten. One suspect election after another managed to pass the stuffed-nose smell test based on the premise, as unshakable as it was irrational, that election rigging could never happen here in the beacon of democracy. Polls and vote counts form a feedback loop, and corruption of one ultimately expresses itself in corruption of the other. Now the polls tracking the upcoming election (“E2014”) are telling us to expect a resounding Republican victory, including control of the US Senate and reinforcement of the GOP House majority. Such results on November 4, 2014, will therefore not be shocking, as was the GOP sweep in 2010, which none of the pollsters predicted. No alarm will sound, even though there would be ample reason to scratch our heads that a party with which a dwindling minority of voters identifies would be rewarded for intransigent political behavior that has dragged Congress down to single-digit levels of approval (lowest in history) by having its control over that very same Congress strengthened. Odd, yes, but just what the polls have been predicting, so no surprise at all. Enter the likely voter cutoff model, or LVCM for short. Introduced by Gallup about 10 years ago (after Gallup came under the control of a right-wing, Christianist heir), the LVCM has gathered adherents until it is now all but universally employed. The LVCM uses a series of screening questions – about past voting history, residential stability, intention of voting, and the like – to qualify and disqualify respondents from the sample. The problem with surveying registered voters without screening for likelihood of voting is obvious: You wind up surveying a significant number of voters whose responses register on the survey, but who then don’t vote. If this didn’t-vote constituency has a partisan slant it throws off the poll relative to the election results – generally to the left, since as you move to the right on the political spectrum the likelihood of voting rises. But the problem with the LVCM as a corrective is that it far overshoots the mark. That is, it eliminates individuals from the sample who will in fact cast a vote, and the respondents/voters so eliminated, as a group, are acknowledged by all to be to the left of those who remain in the sample, skewing the sample to the right (a sound methodology, employed for a brief time by The New York Times/CBS poll, would solve the participation problem by down-weighting, but not eliminating, the responses of interviewees less likely to vote). So the LVCM – which disproportionately eliminates members of the Democratic constituency, including many who will in fact go on to cast a vote, by falsely assigning them a zero percent chance of voting – should get honestly tabulated elections consistently wrong. It should over-predict the Republican vote and under-predict the Democratic vote – by just about enough to cover the margins in the kind of tight races that determine the control of Congress and key state legislatures. 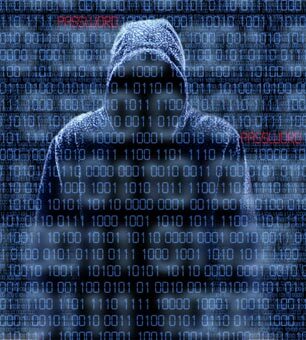 Basic logic tells us that the methodological contortion known as the likely voter cutoff model can get election results so consistently right only if those election results are consistently wrong – that is, shifted to the right in the darkness of cyberspace. Instead it performs brilliantly and has therefore been universally adopted by pollsters, no questions asked, setting expectations not just for individual electoral outcomes, but for broad political trends, contributing to perceptions of political mojo and driving political dynamics – rightward, of course. In fact, the most “successful” likely voter cutoff models are now the ones that are strictest in limiting participation, including those that eliminate all respondents who cannot attest that they have voted in the three preceding biennial elections, cutting off a slew of young, poor and transient voters. There is something very wrong with this picture and very basic logic tells us that the methodological contortion known as the LVCM can get election results so consistently right only if those election results are consistently wrong – that is, shifted to the right in the darkness of cyberspace. A moment to let that sink in, before adding that, if the LVCM shift is not enough to distort the picture and catch up with the “red-shifted” vote counts, polling (and exit polling) samples are also generally weighted by partisanship or party ID. The problem with this is that these party ID numbers are drawn from prior elections’ final exit polls – exit polls that were “adjusted” in virtually every case rightward to conform to vote counts that were to the right of the actual exit polls, the unshakable assumption being that the vote counts are gospel and the exit polls therefore wrong. In the process of “adjustment”- also known as “forcing” – the demographics (including party ID, age, race etc.) are dragged along for the ride and shift to the right. These then become the new benchmarks and baselines for current polling, shifting the samples to the right and enabling prior election manipulations to mask forensic and statistical evidence of current and future election manipulations. Specifically, the dramatically red-shifted and highly suspect 2010 election sets the sampling model for the upcoming 2014 election (“off-year” elections model for off-year elections and presidential elections model for presidential elections). To sum up, we have a right-shifting, tunable fudge factor in the LVCM, now universally employed with great success to predict electoral outcomes, particularly when tuned to its highest degree of distortion. And we have the incorporation of past election manipulations into current polling samples, again pushing the results to the right. These methodological contortions and distortions could not be successful absent a consistent concomitant distortion of the vote counts in competitive races – noncompetitive races tend neither to be polled (no horserace interest) nor rigged (an outcome reversal wouldn’t pass the smell test). Since polls and election outcomes are, after some shaky years following the advent of computerized vote counting, now in close agreement, everything looks just fine. But it is a consistency brought about by the polling profession’s imperative to find a way to mirror or predict vote counts (imagine, if you will, the professional fate of a pollster stubbornly employing undistorted methodology, who insisted that his/her polls were right and both the official vote counts and all the other pollsters wrong!). It is a consistency which, though achieved without malice on the part of the pollsters, is capable of concealing computerized election theft on a scale grand enough to equate to a rolling coup. On Election Day, accurate polls should be seen as a red flag. Reprinted with permisioon of Truthout. May not be reprinted without permission. John Kerry has insisted that every single ballot be audited in the recent Afghanistan election. Contrast this with a recent and typical American election in Virginia, in which not a single ballot (or memory card or line of computer code) is counted, audited, or examined by a human being. An election that could be rigged with zero risk for huge reward. An election whose politically seismic result was described by the Times as “unimaginable” but nonetheless accepted on blind faith, not so much as a single eyebrow raised or question asked about the secret vote counting system that produced it. A system that would never in a million years have passed muster in Afghanistan. Find out why our electoral system is at grave risk and cannot be accepted by the American people as the bedrock protocol of our democracy. Find out why observable vote counting must be part of any plan hoping to address the institutional corruption of our republic. “Every single ballot that was cast will be audited,” Mr. Kerry said. John Kerry. Insisting that every single ballot be audited. In Afghanistan. Because America cares about democracy. In Afghanistan. I am not talking here about a re-do of E2004, nor about the cornucopia of fruit from that poison tree, which of course includes Justices Roberts and Alito and a slew of 5 – 4 SCOTUS (and lower court) decisions such as Citizens United. Yes, America would be a very different place, but oh well. No, I am talking here about the on-going insanity that is the American computerized vote counting system. I am talking about an election this June in which Eric Cantor, the far-right Majority Leader of the US House, was unseated in a Virginia Republican primary by David Brat, a far-far-far-right Tea Partier who trailed by 30%+ in every poll. A typical American election, very un-Afghanistanian, in which not a single ballot (or memory card or line of computer code) was ever counted, audited, or examined by a human being. An election that could be rigged with zero risk for huge reward. An election whose politically seismic result was described by the Times as “unimaginable” but nonetheless accepted on blind faith, not so much as a single eyebrow raised or question asked about the secret vote counting system that produced it. An electoral system that would never in a million years have passed muster in Afghanistan. And I am talking about all our elections since the computers took over and moved the counting into the pitch dark of cyberspace. And most of all I am talking about our elections yet to come, beginning with 2014. I am talking about our future. 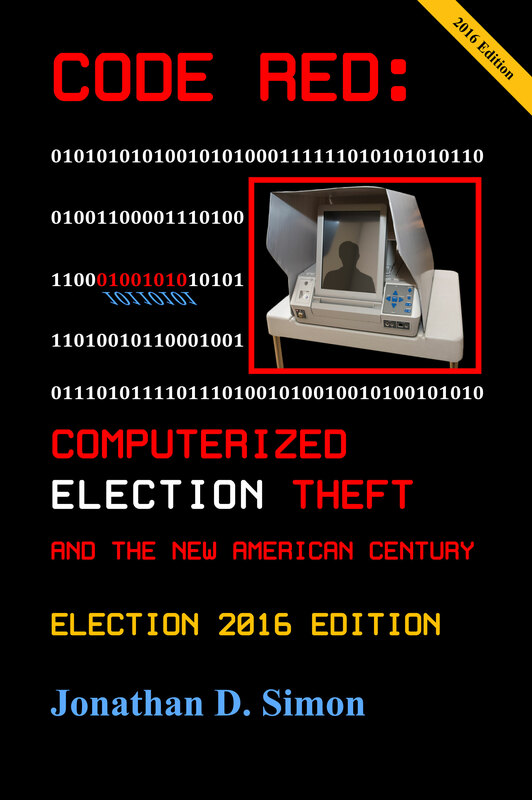 I have written a book about this: CODE RED: Computerized Election Theft and The New American Century. It is about what has happened to American elections, American politics, and America since computers took over the counting of votes. It is readable: in extensive laboratory testing not a single eye has yet to glaze over. The technical is cordoned off into the Appendix while the main part tells the story, answers questions, offers insights and ideas for action. Haven’t there always been attempts to steal elections? Why is now any different? How do you know the computers on which we vote are so susceptible to fraud? If you wanted to alter the outcome of an election, give me some examples of how you might do it? How did America ever come to approve and accept such a dangerous system? You say that the system is indisputably vulnerable and dangerous, but what makes you so certain that it has actually been corrupted and elections have actually been stolen? Why has there been so little response from the “immune system”—election administrators, losing candidates, the media? You would think they would be all over this. Who are these corporations that count our votes? What makes you think they care who wins elections? How about audits? Can they be effective? Can we trust Internet Voting? Given the recent revelations about NSA surveillance, along with other signs that American democracy is deteriorating irrespective of which party governs, would an honest vote counting system even matter anymore? What can be done? Is there any real prospect of observable and honest elections in the United States? The answers are, along with much else, in CODE RED, which is available from Amazon in both Print (http://www.amazon.com/…) and Kindle (http://www.amazon.com/…) editions or from the www.CODERED2014.com website. “There are genuinely difficult problems facing us as a nation and as a species in the years to come: climate change, over-population, food and resource distribution, weapons control, protection of privacy, and all manner of ecological challenges, just to name a few. . . .
CODE RED is really about saving our democracy and our country. Now, before it is all gone. Please read it, review it, share it discuss it. There’s so much consciousness to be raised here in America, and so little time. What do you believe is happening with American elections? A: Computerized vote counting has opened the door, over the past decade, to large-scale fraud and election theft. Virtually all the vote counting equipment is produced and programmed by a few corporations with right-wing ties. There is strong and pervasive forensic evidence that votecounts are being shifted to the right, altering many election outcomes. Political intransigence strangely seems to be electorally rewarded rather than punished. As a result, even as the pendulum appears to swing, American politics has veered, inexorably and often inexplicably, to the right. This amounts to a rolling coup that is transforming America while disenfranchising an unsuspecting public. Will Afghanistan Surpass the USA in Voting Integrity? KABUL, Afghanistan —Secretary of State John Kerry announced Saturday that Afghanistan would audit all eight million votes cast in a runoff presidential election last month . . . The audit, intended to resolve allegations of widespread fraud, is to begin almost immediately, he said, and will be supervised by international monitors. No, I am talking here about the thriving insanity that is the American computerized vote counting system. I am talking about an election this June in which Eric Cantor, the far-right Majority Leader of the US House, was unseated in a Virginia Republican primary by David Brat, a far-far-far-right Tea Partier who trailed by 30%+ in every poll. A typical American election, very un-Afghanistanian, in which not a single ballot (or memory card or line of computer code) was ever counted, audited, or examined by a human being. An election that could be rigged with zero risk for huge reward. An election whose politically seismic result was described by the Times as “unimaginable” but nonetheless accepted on blind faith, not so much as a single eyebrow raised or question asked about the secret vote counting system that produced it. A system that would never in a million years have passed muster in Afghanistan. The answers are, along with much else, in CODE RED, which is available from Amazon in both Print (http://www.amazon.com/dp/1500319856) and Kindle (http://www.amazon.com/dp/B00A0QDJP2) editions. There are genuinely difficult problems facing us as a nation and as a species in the years to come: climate change, over-population, food and resource distribution, weapons control, protection of privacy, and all manner of ecological challenges, just to name a few. . . . Compared to these challenges, the basic counting of votes—in an observable way that ensures the legitimacy of our elections and vouchsafes the public an undistorted voice in the making of all these hard choices—is an easy assignment. We need only to break a spell that has been cast on us—a spell of convenience, passivity, helplessness. We need only remember that democracy is not something that we watch, it is something that we do. CODE RED is really about saving our democracy and our country. Now, before it is all gone. Please read it, review it, share it, discuss it. There’s so much consciousness to be raised here in America, and so little time.